And there's more anti-constitution mischief afoot, just about everywhere. Thought the Obama administration’s Title IX guidance for sexual misconduct proceedings was bad? Look at some of the legislation under consideration in states. New Mexico is considering a bill that would threaten colleges with defunding if they don’t make assumptions that are favorable to accusers in sexual misconduct proceedings. While media coverage portrays the legislation as just another consent-oriented measure, the Foundation for Individual Rights in Education claims that HB 133 functionally bans “impartiality” in sexual misconduct proceedings. By requiring colleges that receive state funding to implement “complainant-centered policies and procedures” and use “trauma-informed” training for campus officials, the bill incentivizes proceedings that are inherently biased against accused students, Tyler Coward, legislative counsel to FIRE, wrote in a blog post last week. 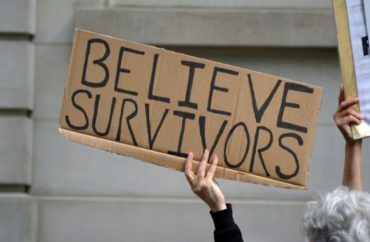 Not only would “complainant-centered” procedures “almost certainly violate” Title IX, but the fairness of “trauma-informed” training is in serious dispute, he said. Harvard Law School Prof. Janet Halley, for example, has publicly described her school’s training as “100% aimed to convince [adjudication staff] to believe complainants, precisely when they seem unreliable and incoherent.” The assumptions behind trauma-informed training have little if any support in scientific research, according to memory and neuroscience experts interviewed by journalist Emily Yoffe. The bill also defines “harassment” through the state’s penal code. That’s dangerous, Coward said, because if the definition is used “against speech in the educational setting,” it would preempt the specific Supreme Court standard devised for student-on-student harassment, known as Davis. FIRE’s other problems with the bill track with the group’s longstanding opposition to affirmative-consent policies, which often prevent parties from being able to prove their received “continuous” consent or unambiguous consent at every “stage” in a sexual encounter. Read the bill, Daily Post report and FIRE’s blog post.